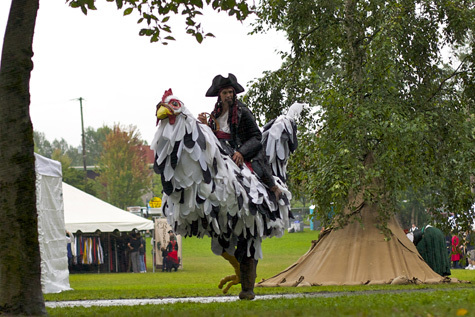 This is a pirate riding a peg-legged chicken. Oi there! Oi Oi! Aren’t you glad it’s the weekend? The first weekend of Autumn, yay! So excited! And as always, here on Bonzai the weekend means it’s time for comments, critiques, thoughts, support, and suggestions. I’d love to hear from you! And now to kick off the weekend right, with a mini love list just three items long. So, please tell me three little things that you adore (mine = 1. afterdark walks and all the neighborhood kitties who greet me – I know them all now, 2. frozen banana with nut butter – dessert doesn’t get better as far as I’m concerned, 3. my darling house plants – and leveraging them into even more house plants . . .) Now tell me yours! Don’t forget! The Great Bonzai Seed Exchange is on! Please keep this in mind as autumn weather rolls in and you’re pulling up plants. Save those seeds! Enjoy the first of fall, my friends! That is by far my favorite picture of the day. 1-Learning the word “petrichor”, which is the best word ever! Thanx for that. 2-Canned pumpkin has returned to stores after a recall left me pumpkinless for almost a year! There are muffins. Oh, yes, there are muffins. 3-I have two full days off to spend with my husband and my growing-up-so-fast three-year-old girl. Loved the fall photos, and poetry, in your previous post!! I feel alive in Autumn in a way totally different from the rest of the year. 1. Plain soy milk, without the huge amounts of sugar they add to most of the ones they sell here. 3. My husband (who had back surgery this week and is getting back to his old upright self). So, oh yes, that brings me to a 4th thing I adore–Dr. Daniel Rohrer and all the staff at St. Vincent’s who gave us our lives back. Woo hoo! 2. Waking up to the smell of my girlfriend already cooking breakfast! I have a question that I’ve been wondering about for a while. What kind of pet food do you use for your dogs? Are they v*gan as well? 1. Watching my chickens frolic in the yard. 2. Running in the drizzling rain. 1. Enjoying a lazy Sunday made complete with mimosas. 2. Playing in the kitchen and creating some fun raw goodies. 3. I’m still celebrating the equinox. Autumn makes me soooo happy! 1. Reading a book to a kid on my lap. 2. Veggies so fresh they glow. 3. Nighttime walks with my love. 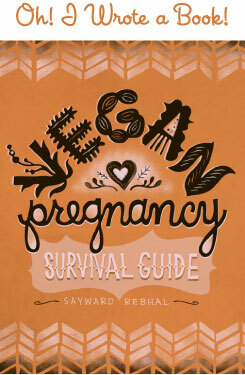 2.Re-working loads of non-veg*n slow cooker recipes to be full of veg*n awesomeness! OOH, and one extra one…having harvested about 5 kg of elderberries from around where I live to turn into delicious wine and jam! For strawberries you don’t save the seeds, you propagate them asexually. I wrote an article about it here if you’re interested. Luck! @ CBR – My dogs are not currently veg*n, but I’m finally (FINALLY) in the process of transitioning them. Yay! I’m really excited about it and plan to blog a lot about the whole process. Coming soon! As a vet tech, I’m curious as to why you’d want to transition a dog to a vegan diet. I guess you’ll probably explain when you blog the experience, eh? So I’m taking it slow and so far they’re responding really well. We’ll see how it all pans out!